Are you interested in writing bylaws for nonprofit corporations in Florida? If so, know that they can be tailored to fit the specific organization's needs and do not need to be filed with the state. However, there are certain areas that should be mentioned in the bylaws no matter where the organization is located. Each nonprofit may have specific sections that are tailored to their organization and may list any information that they feel is pertinent on how the nonprofit should run and be governed. Bylaws can be changed at any time and amendments can be added whenever needed. Each state may have different requirements for what an organization must do in order to register as a nonprofit organization. Since requirements may differ from state to state, it is best to check with the particular state's division of corporations. For nonprofits incorporated in the state of Florida, the Florida Department of State's Division of Corporations has a publication called the Florida Not-For-Profit Corporation Act Booklet that contains all the information needed for filing as a nonprofit entity in that state. The booklet contains all the necessary forms and instructions. To request a copy, call the Division of Corporations at 850-245-6052. Nonprofits in Florida are required to file the Articles of Incorporation with the Secretary of State. This form must specify the organization's specific purpose is as well as detail how funds will be used. Florida has specific requirements, such as requiring a nonprofit to have a minimum of three board members upon formation. Once the Articles of Incorporation have been filed with Florida's Secretary of State, the board of directors can then approve the bylaws. 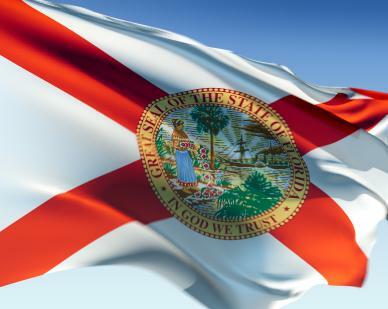 Florida, like all states, does not require bylaws for nonprofit corporations in Florida to be filed with the state's. Keep in mind, however, that nonprofit corporations must keep a record of their bylaws at their principal office location. They should also distribute copies to each member of the Board of Directors. Articles of Incorporation for nonprofits in Florida can be filed online or by mail. To file online, visit the Department of State's efile section and click on the Articles of Incorporation link. To file by mail, send copies along with a check for $35 made out to the Department of State Division of Corporations at PO Box 6327, Tallahassee, FL 32314. If you live in a state other than Florida, visit your state's official website for contact information and filing requirements.